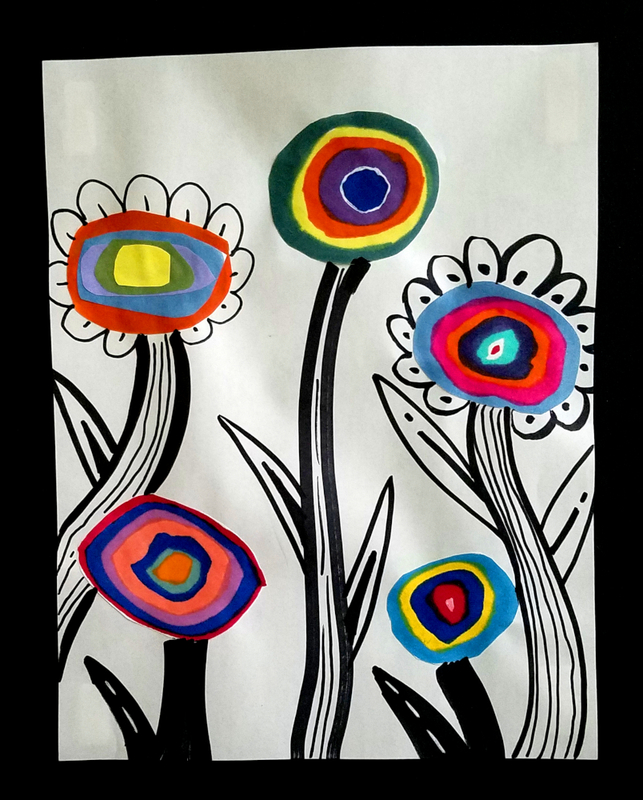 Inspired by Wassily Kandinsky's color study Squares with Concentric Circles, students will create drawings of flowers, while also learning about the life and art of the artist. 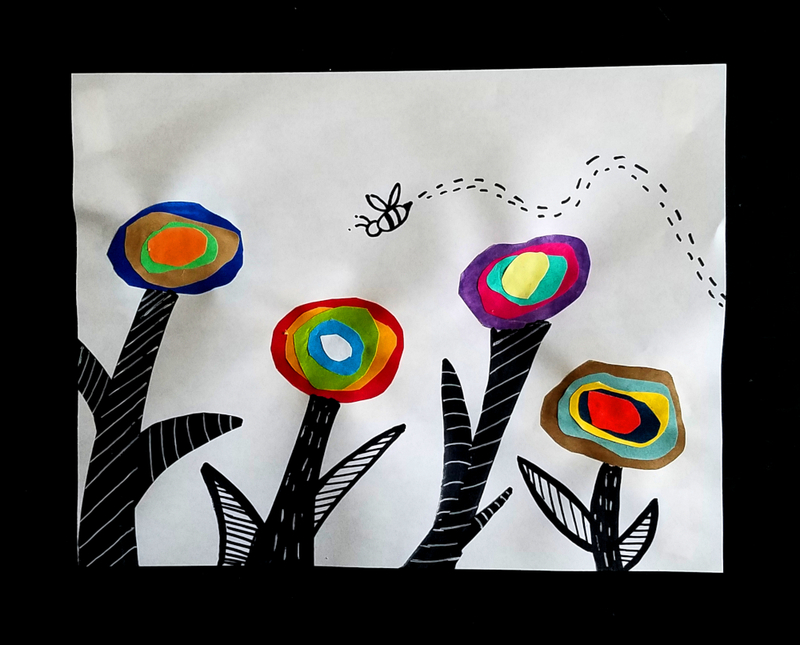 Students will learn about the artist Wassily Kandinsky and create flowers using concentric circles. 1. Introduce students to Wassily Kandinsky. 2. Select a few colors you think looks good together, then color a section of your paper with those colors. Cut out each color to your desired size. The circles do not have to be perfect, in fact it is better that way. Just make sure each circle is slightly smaller than the previous one. 3. Next glue your circles on top of each other from largest to smallest. Continue doing steps 2 and 3 until you have a few concentric circles made. 4. On another sheet of paper glue down the circles. Once the glue has dried, begin doodling the rest of your flower using black markers and pens.